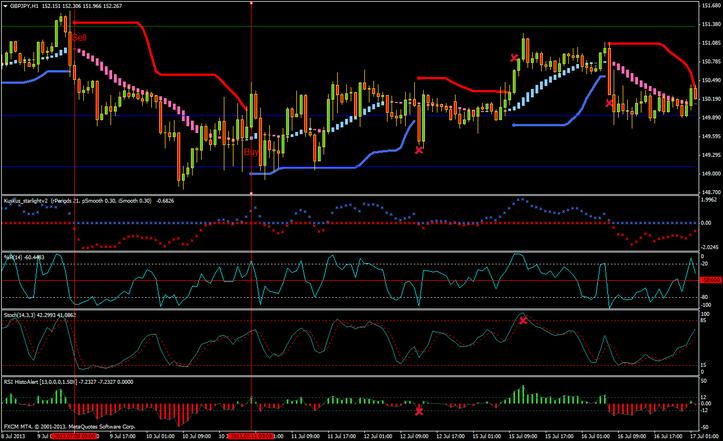 Bollinger Bands Stop , Starlight, RSI Histo, William's percent range filtered by Stochastic. 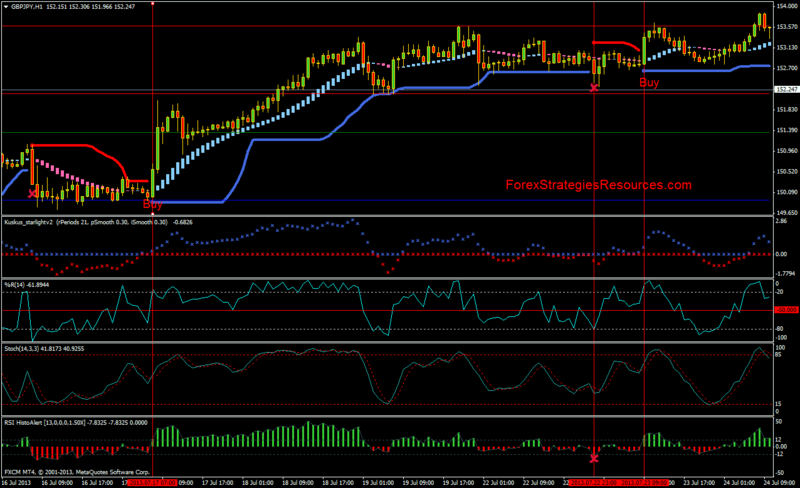 This Trading System is a trend-momentum forex strategy because it is composed of trend indicators and momentum indicators. 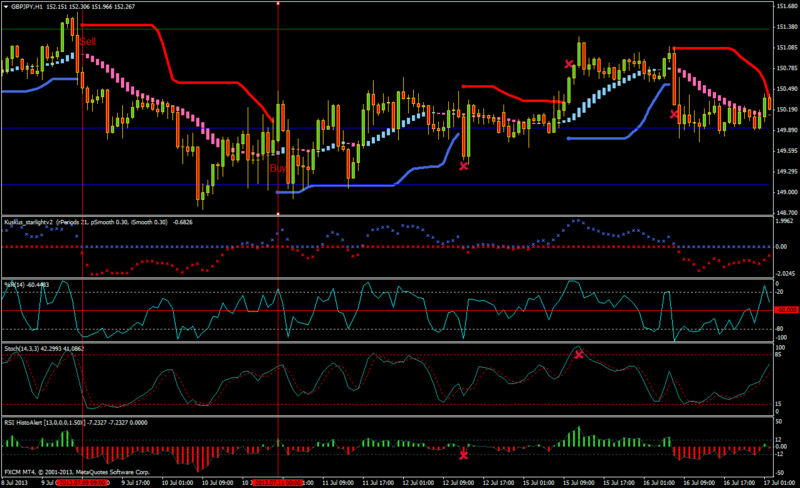 Stochastic indicator <0,85 this is the most important condition. Stochastic indicator >0,15 this is the most important condition. In the pictures belowStarlight Forex System in action.